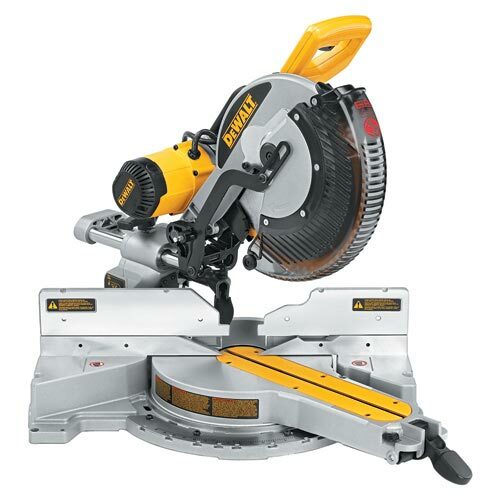 The 10 Inch DeWalt Miter Saws come with a lot of innovative features. They are one of the most popular names on the market today. 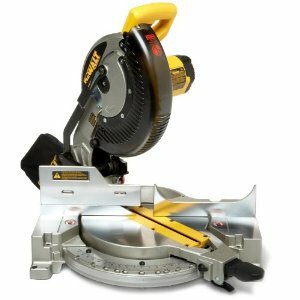 Let me now tell you something about the features, advantages, and the disadvantages of these DeWalt miter saws.
. 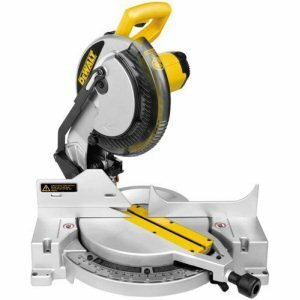 These saws come with a 15 amp motor which is capable of 5000 RPM (rotations per minute) without load. The motor is quite powerful and sturdy and it justifies the 'heavy duty' tag given to these saws.
. There is a flexible detent plate with 11 positive stops. It is made of stainless steel and it improves accuracy. 10 Inch DeWalt Miter Saws come with a 40-tooth blade which is surprisingly good. A lot of reviewers have mentioned that the blade exceeded their expectations. The vented blade guard is quite a nice feature which sends a lot of dust out of the port. The saw arm is pretty solid and there is no wobbling or side to side movement. As a result, the cuts are pretty accurate which makes these saws a good choice for people who do precision work. The miter cam lock ensures ease of use and accurate miter table positioning. The dust bag, which is usually the most disappointing feature of most miter saws, is very good. It actually catches a lot of sawdust and is easier to clean as well. These saws are not too big or too small. They weigh in at 35 pounds and you can easily carry them from one place to another. The inbuilt carrying handle is neat. These saws come with a three year warranty from the manufacturer. Perhaps the only drawback of 10 Inch DeWalt Miter Saws is that the bevel scale/bevel pointer setup is not perfect. The instruction manual says that you should set the bevel pointer's topmost edge as the read point to improve accuracy. The problem, however, is that the top edge of the bevel pointer and the bevel scale are not on the same level. So, it is a little hard to read the bevel. Some of the reviews allege that the sliding fences are made of pressed pot metal and are of poor quality. They say that the fences are flimsy and could be twisted, bent, or broken easily. Apart from these two, there are no major drawbacks with 10 Inch DeWalt Saws . Return From 10 Inch DeWalt Miter Saws Page to Home.